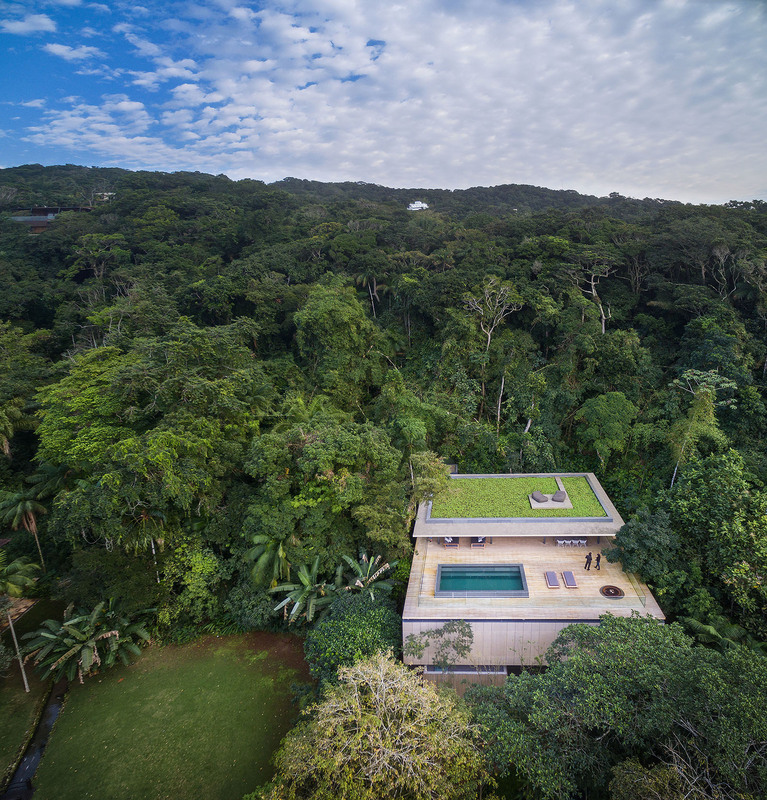 With a lot of privacy, a fantastic view of the Atlantic Ocean and plenty of nature, this property called Jungle House should make some hearts beat faster. 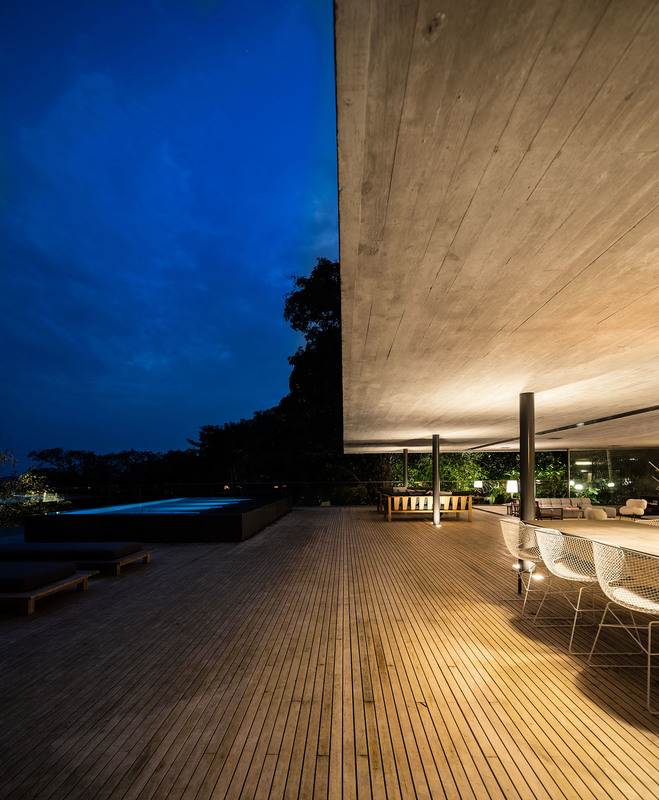 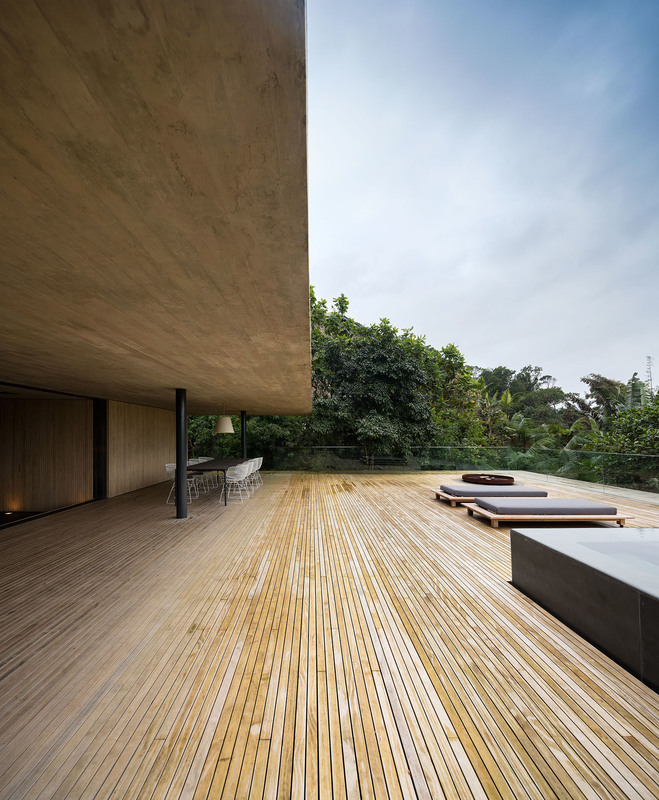 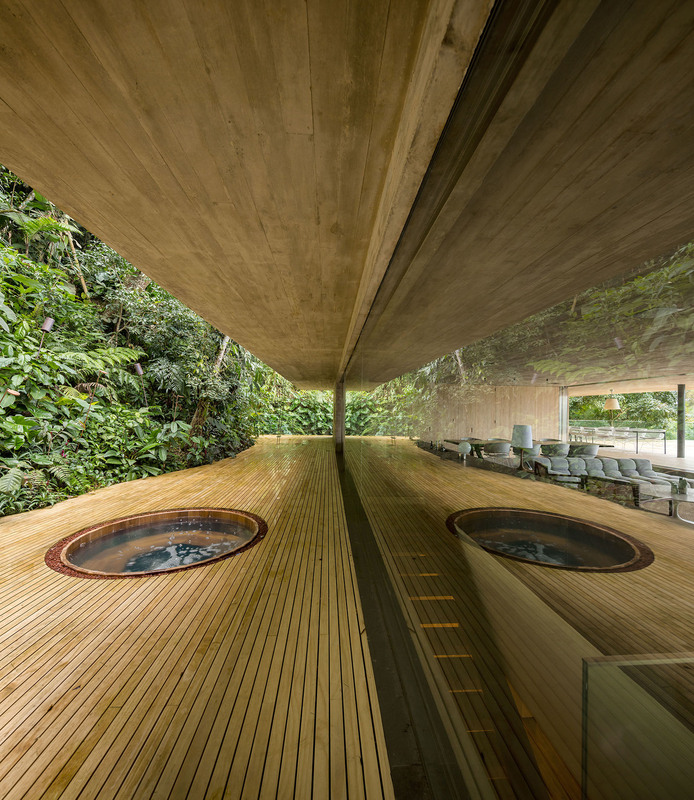 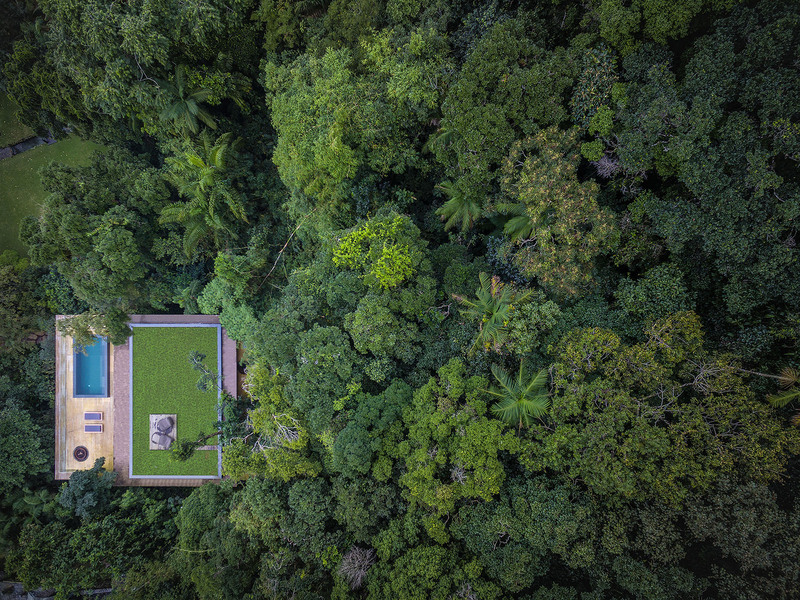 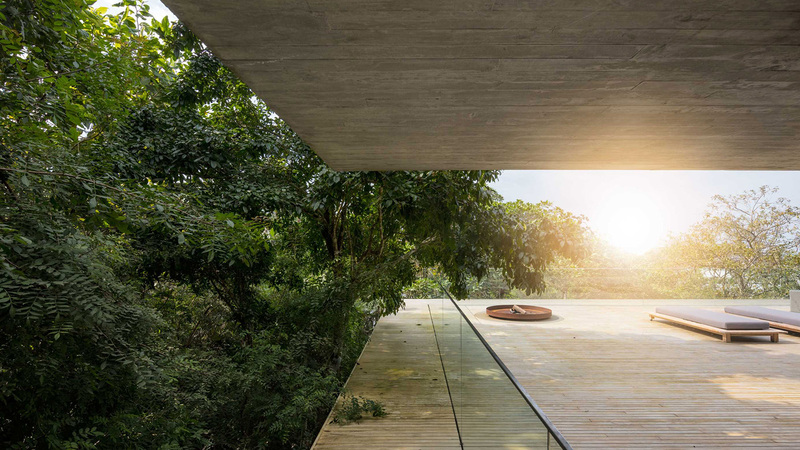 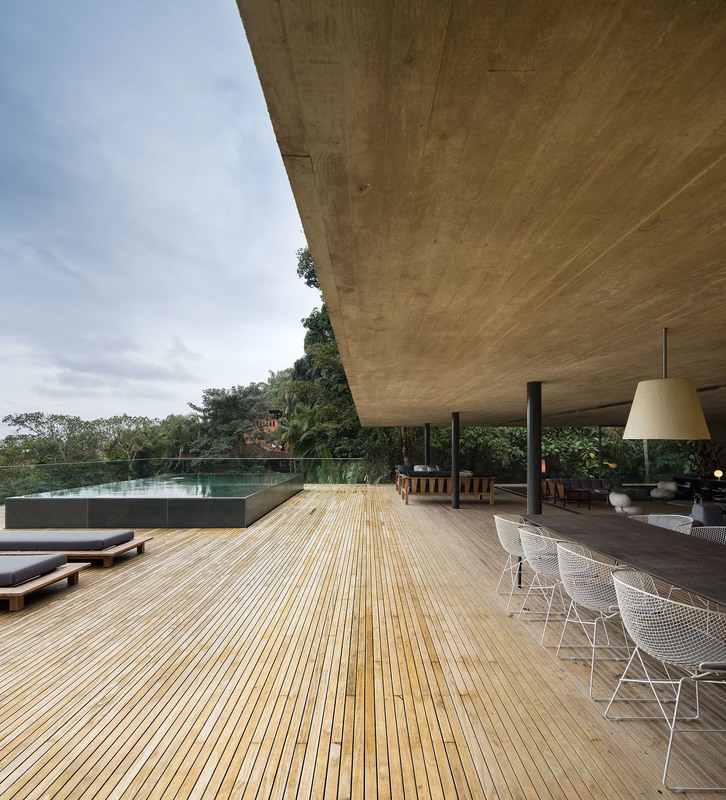 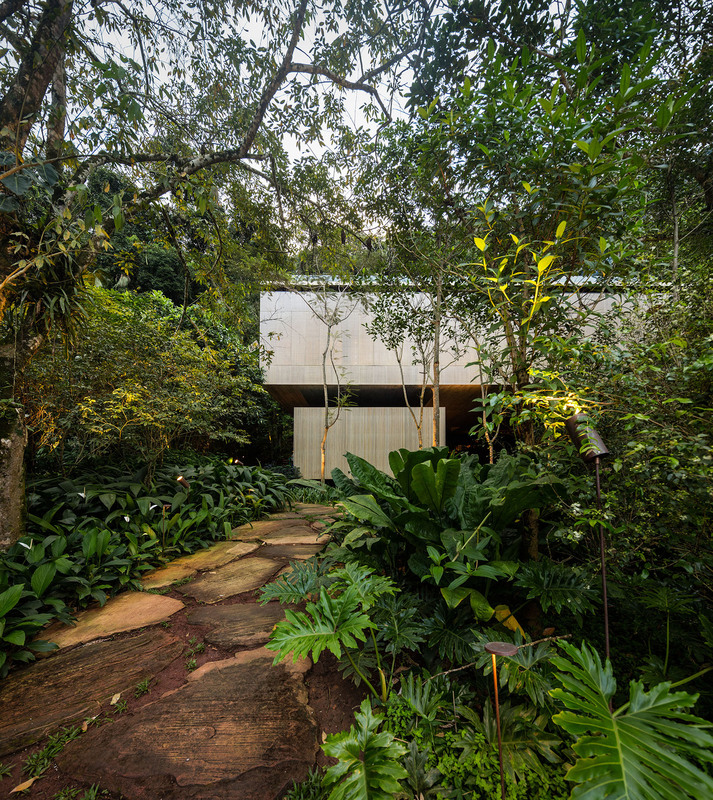 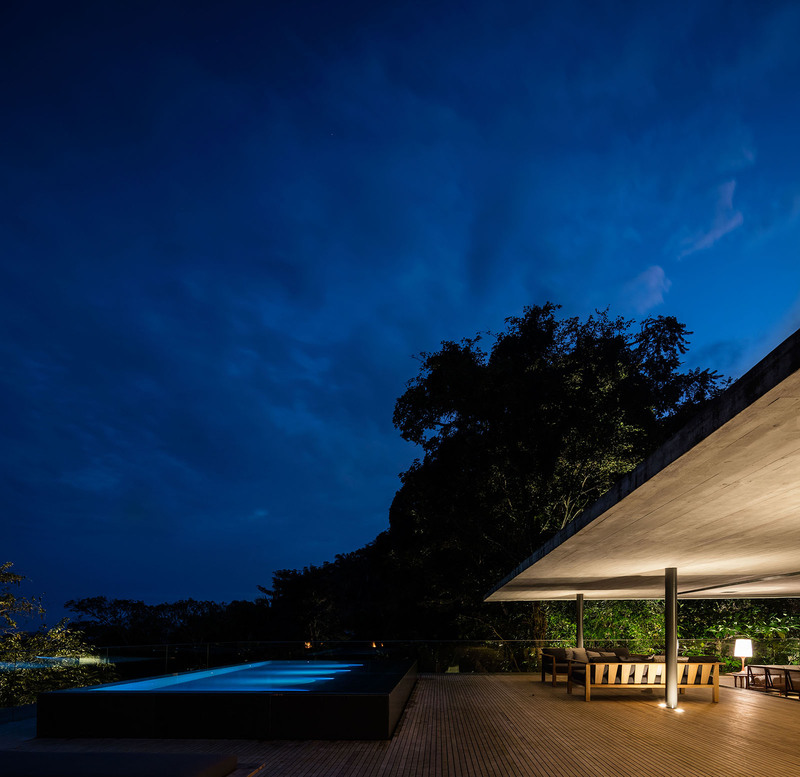 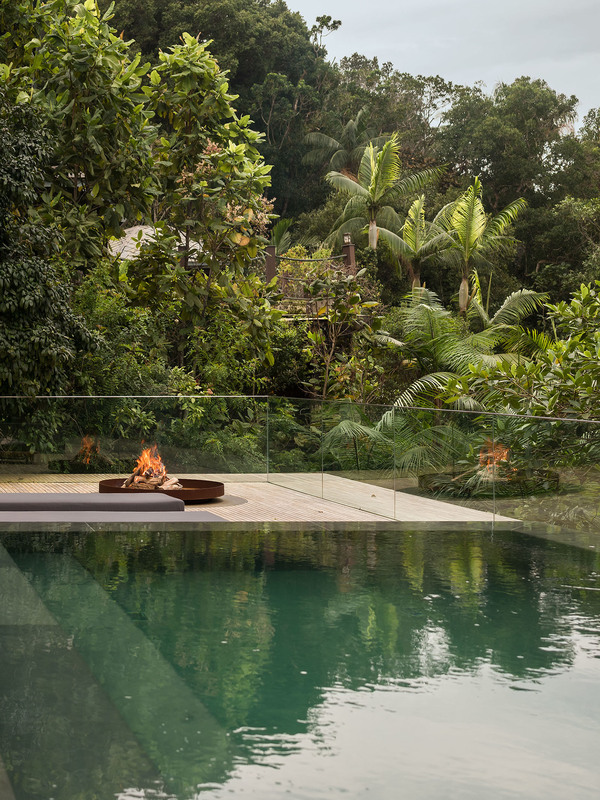 Surrounded by nature, this property is located in Guarujá, São Paulo. 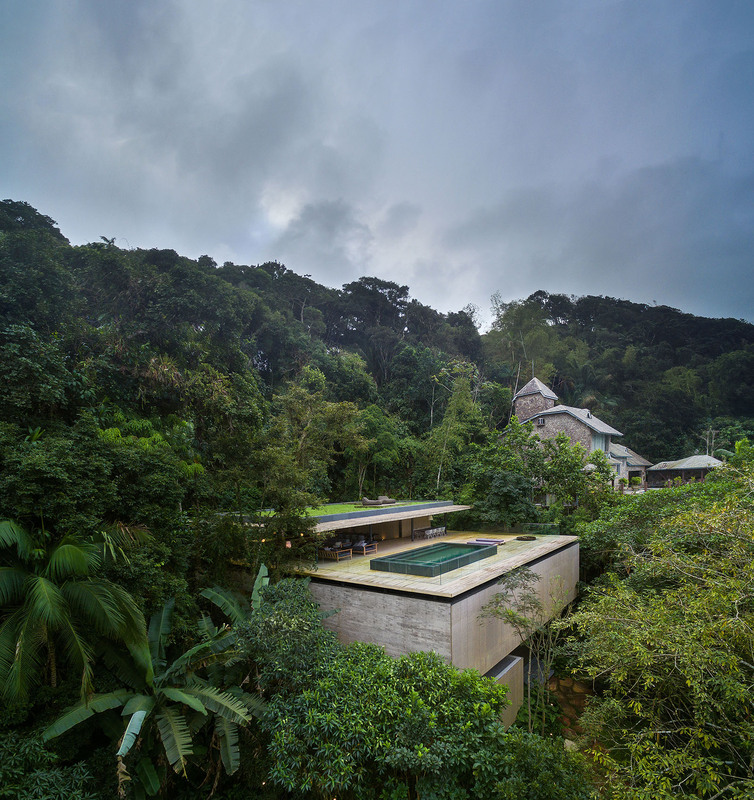 In the middle of the rainforest. 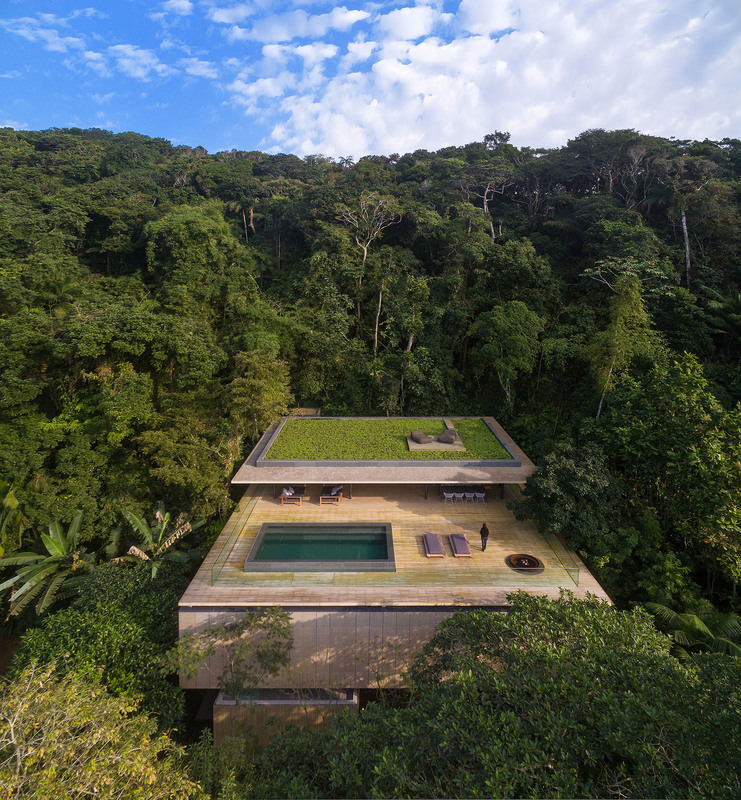 Accordingly, the environment has a very dense vegetation and mountainous terrain. 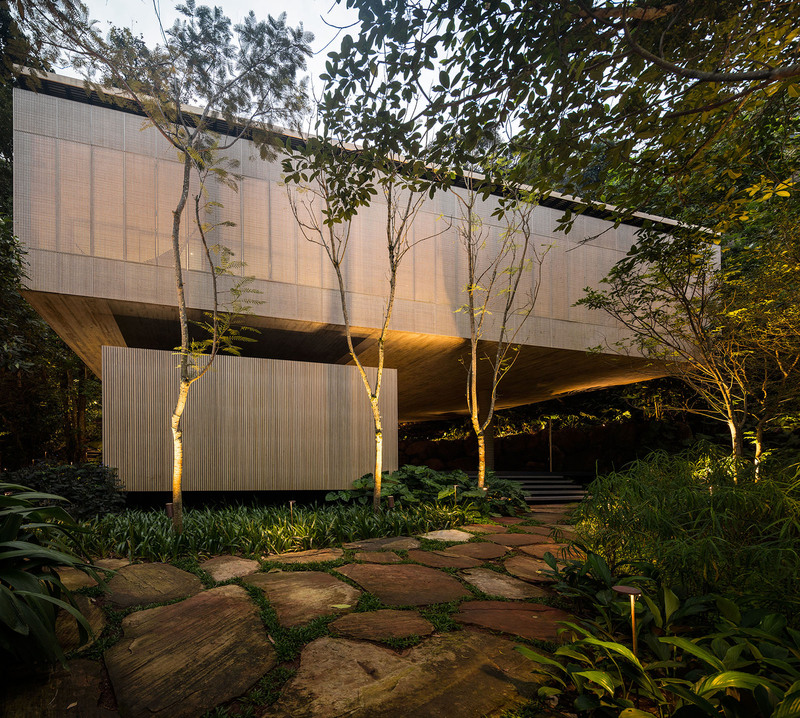 The main part of the house is elevated, giving the impression that it has been placed into the slope. 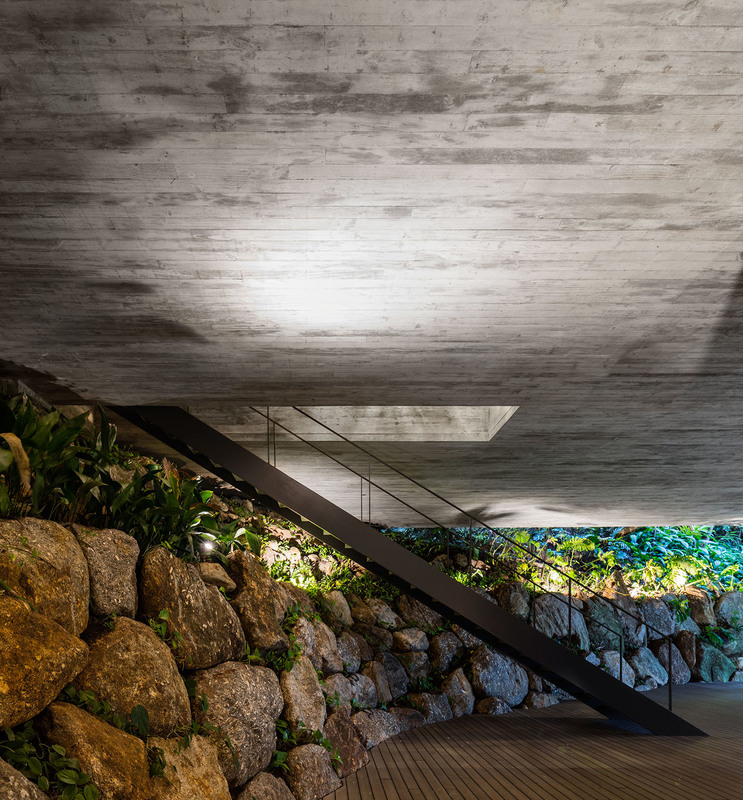 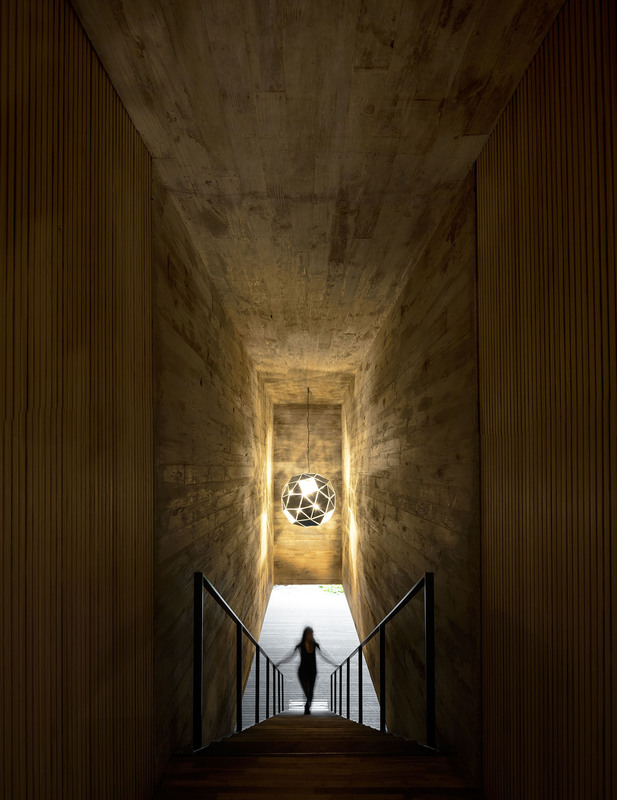 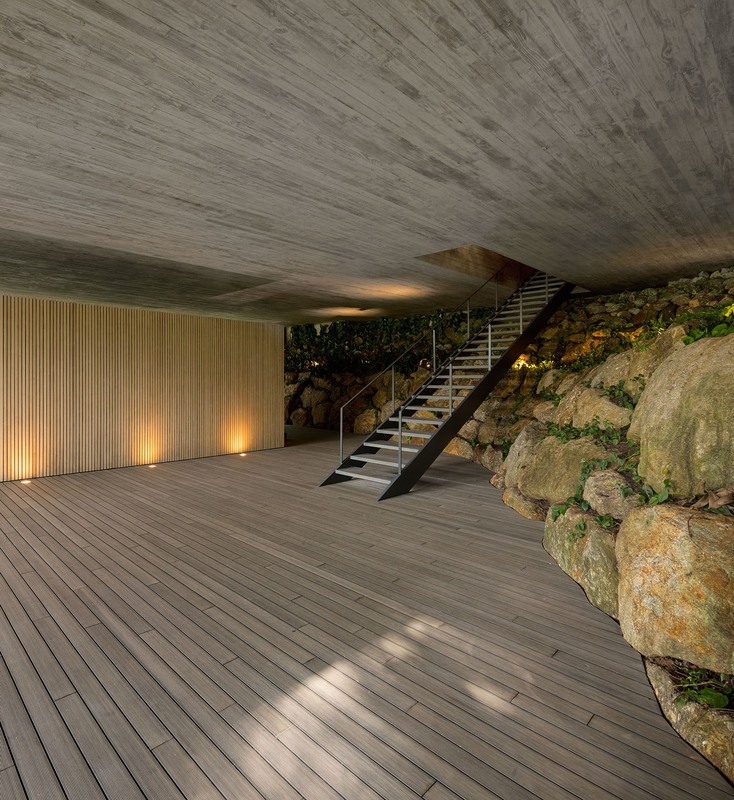 The architecture studio of Studio MK27 around founder Marcio Kogan consists of 21 architects and has realized this dreamlike living space in collaboration with interior designer Samanta Carfare in order to ensure that architecture and nature merge smoothly into each other. 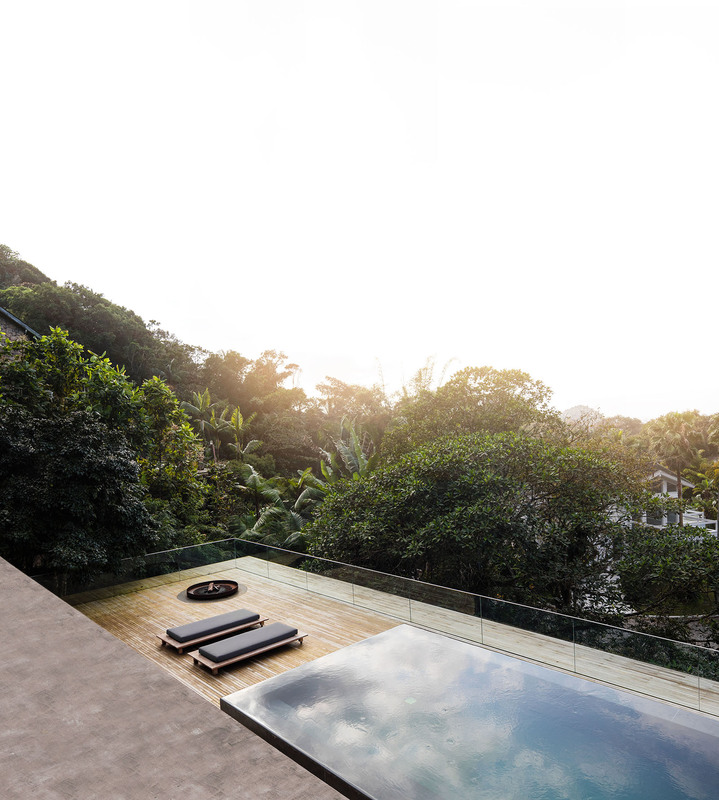 The Junglehaus extends over 3 floors with approximately 805m². 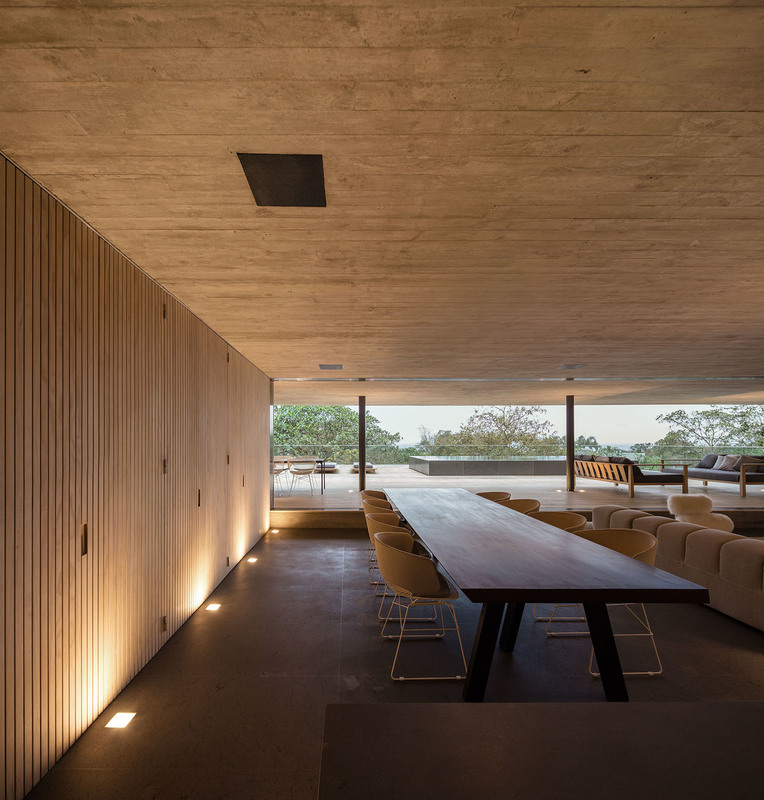 The ground floor is characterized by its large terrace decorated with wood and is connected to a room for children. 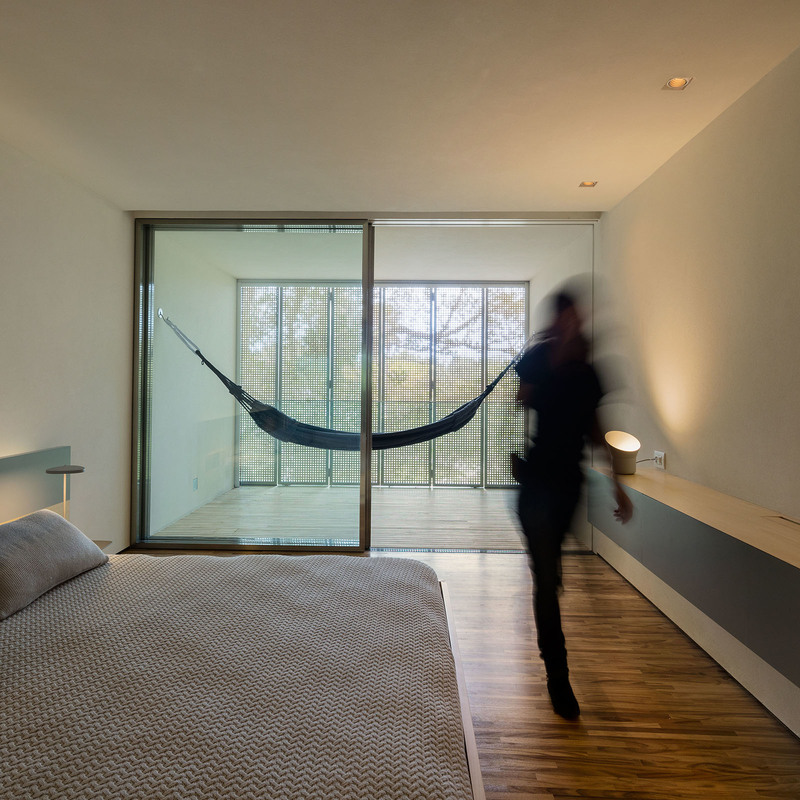 The first floor has a total of 6 bedrooms, of 5 which have small verandas, a hammock and TV rooms. 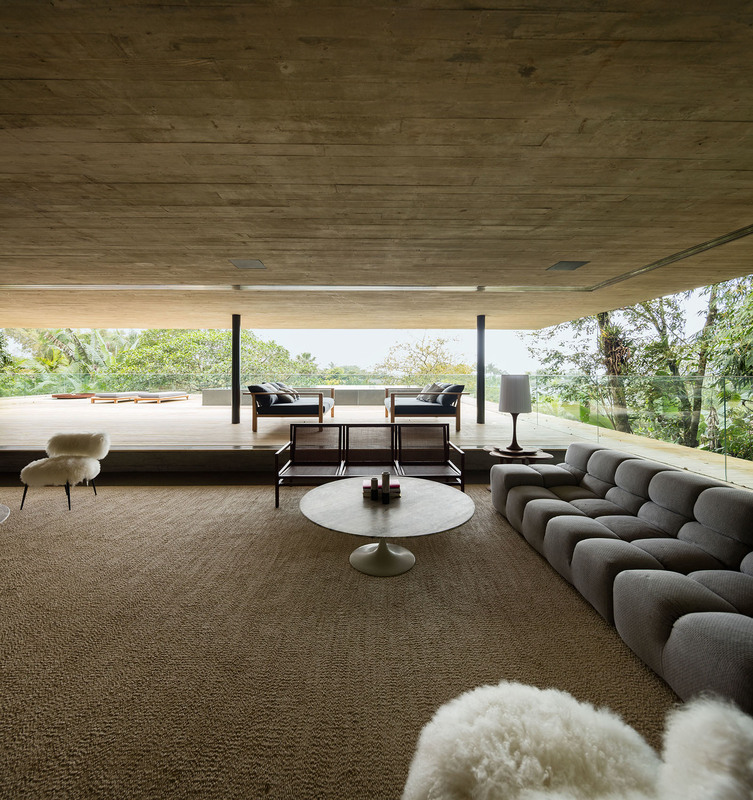 The third and last floor serves as a social area. 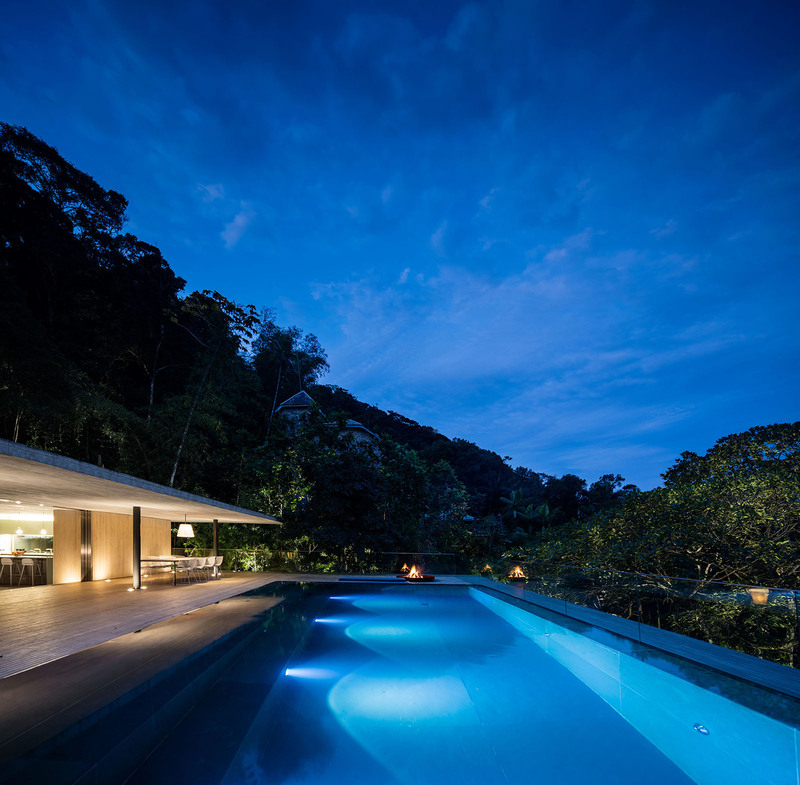 It has a kitchen, living room and a stunning infinity pool from which to enjoy the sunset over the Atlantic Ocean.